For millions of people around the globe, water, sanitation and hygiene conditions have improved. 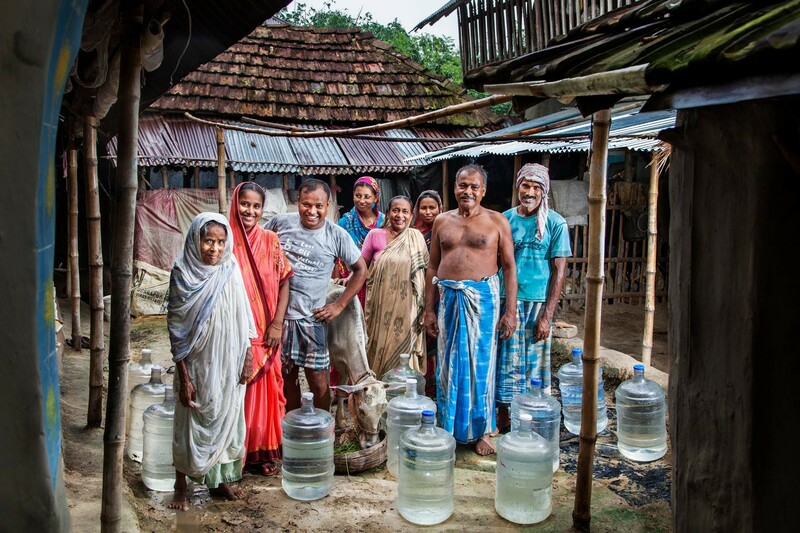 Still, in 2015, 663 million people are using unsafe drinking water. 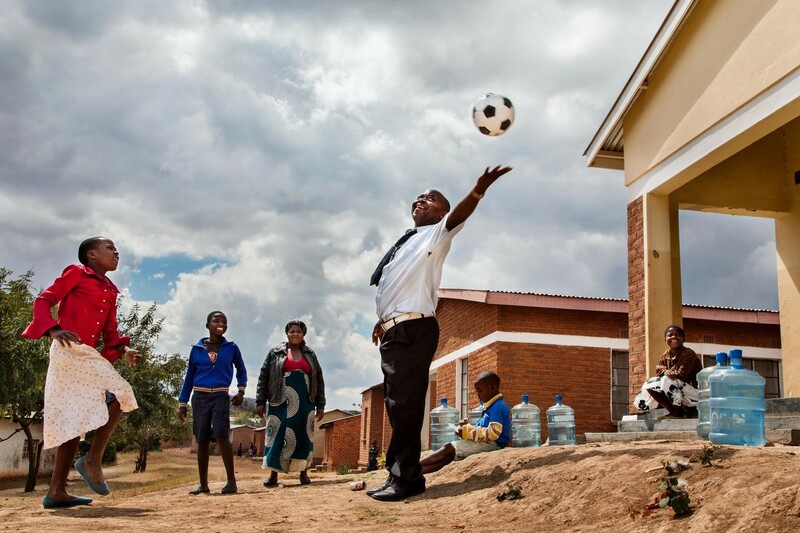 VII Photo’s Ashley Gilbertson photographed in seven countries for UNICEF, making portraits of families and their daily water use. “[W]hen water was so far away, we couldn’t carry a lot, so we never had enough water,” he said. 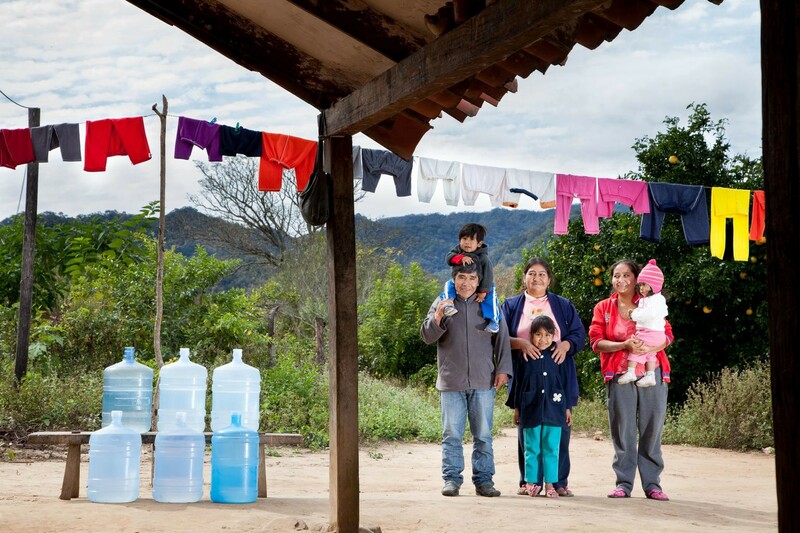 The Flores family, indigenous Guaraní in Bolivia, uses 120 litres of water each day: 20 litres to cook, 35 to flush their toilet, 15 to shower, 10 to wash clothes, 35 to wash pots, pans and dishes, and only 5 to drink. 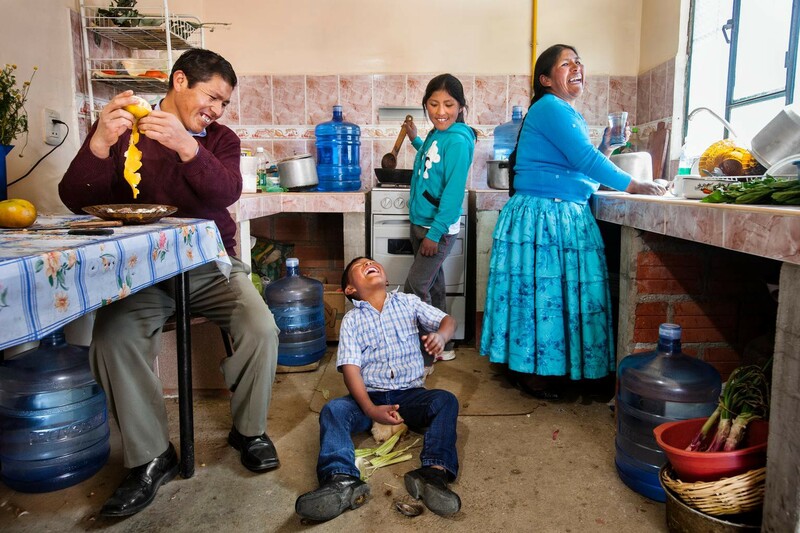 The Miranda family raises chickens, keeps bees for honey and grows oranges, but water for families in their community — Puca Huasi, in Bolivia — is provided only for household use. For the Mirandas, that’s 100 litres, but they must source their own additional water for farming. 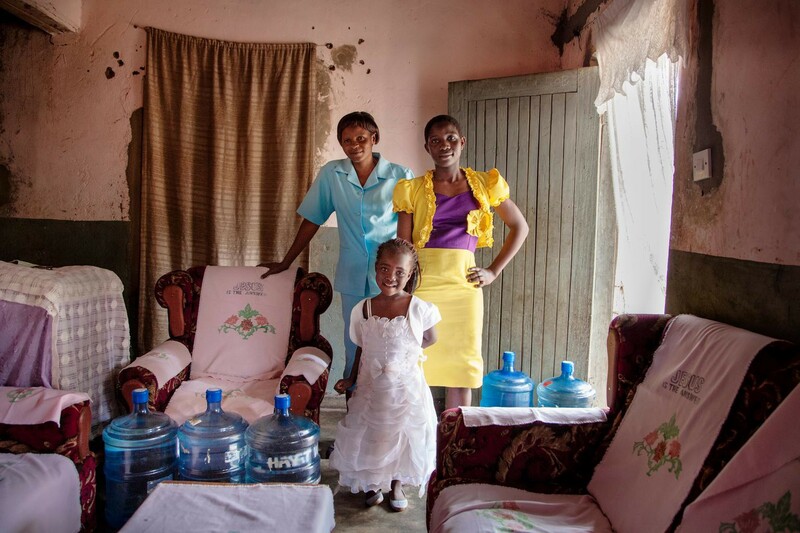 Mercy Katondo, a community health worker and single mother in Malawi, and her daughters use 100 litres of water, drawn from a neighbour’s tap. “It’s a very difficult life because I have to find everything for myself and my kids. The fact that water is nearby greatly reduces my burden,” she said. 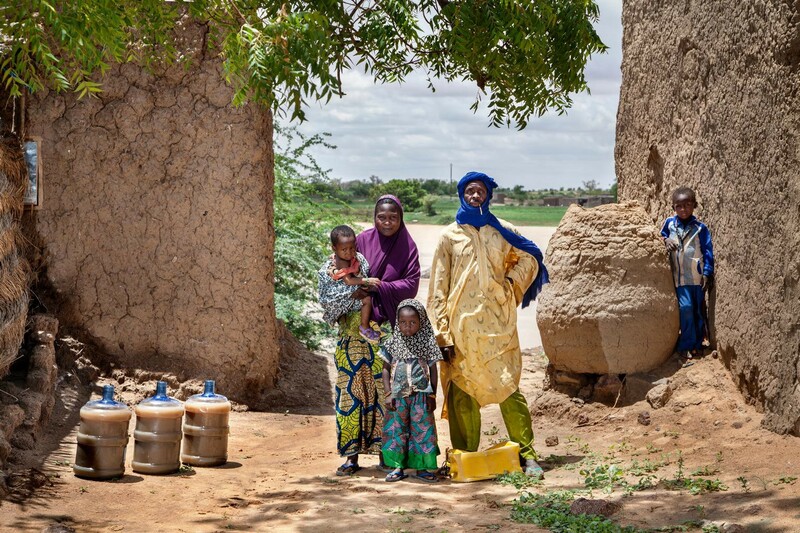 (Centre) Hamidou Hama’s family, in the Niger, has three options for obtaining the 100 litres they use daily: getting water for free from unsanitary ponds created by rainfall or paying for water either from a nearby tap, only open for limited periods during the year, or from a distant borehole. 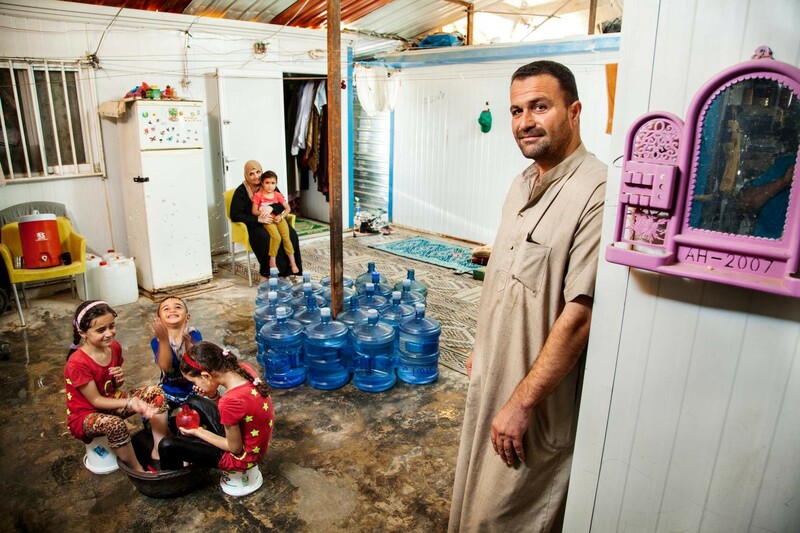 The Abu Noqta family, Syrians living in Jordan’s Za’atari refugee camp, need 380 litres of water daily, including to stay cool amid brutal temperatures. 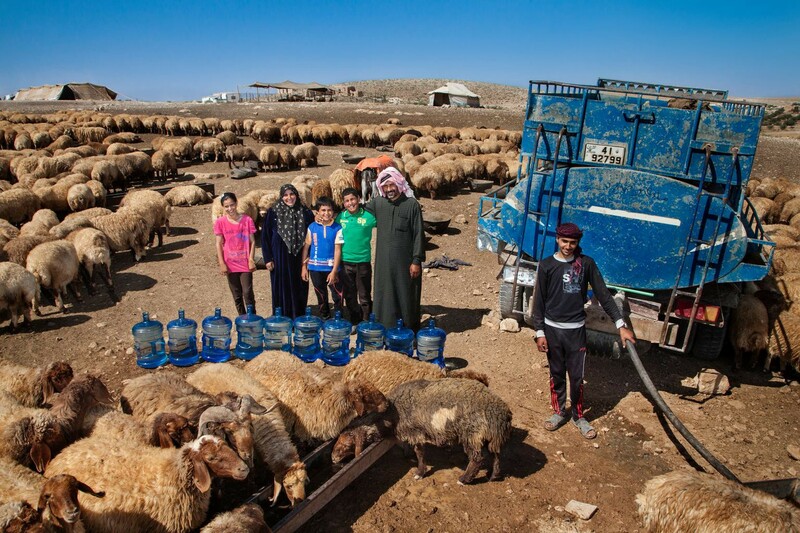 “We’re very economical with our water because we don’t have enough,” said Ms. Abu Noqta. (Centre) health worker Somashree Saha, her sister and mother draw the 80 litres of water they require for household use from a hand pump, in India. Because of its high iron content, the water turns a murky colour when exposed to oxygen, emits a pungent stench and can cause digestive problems. 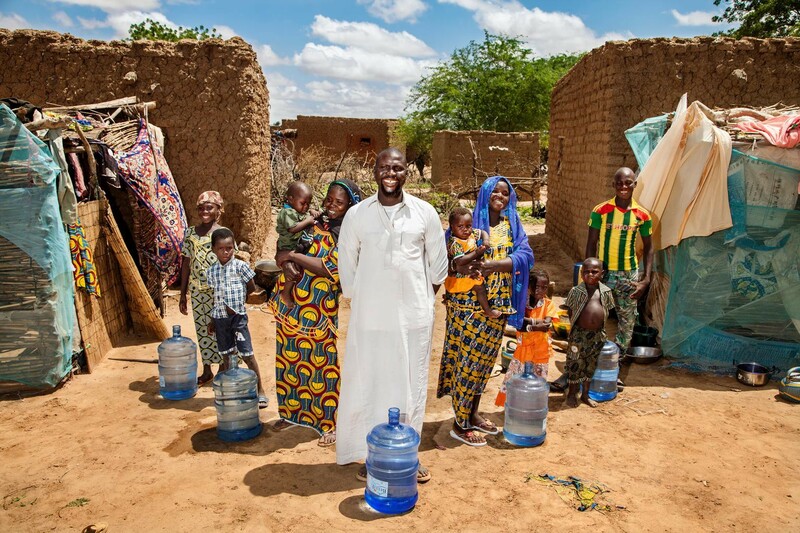 Each day, Mahamadou Moussa and his family require 60 litres of water, which they filter through a traditional process, for drinking and cooking. They rely on the nearby Niger River for bathing, but they also know that the river water carries diseases, including diarrhoea and cholera. (Background, second from left) Swarga Mala Gayali lives with her husband and his family. They use 220 litres of water daily, in India. Before a handpump was installed three years ago, Swarga Mala journeyed a couple hundred metres about 40 times a day to collect water from a neighbour’s home. 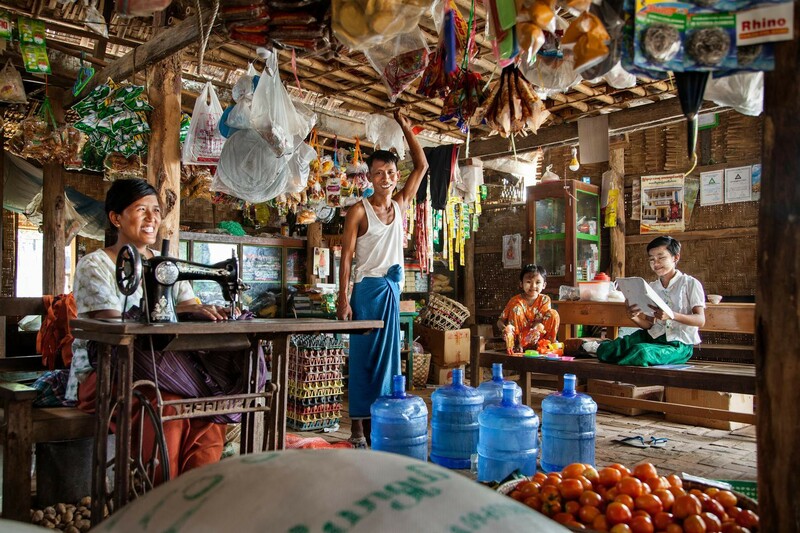 (Background, right) San Win’s family earns money by farming peanuts on their three-acre plot of land, in Myanmar. They use 160 litres of water daily, which they collect from a 15-year-old tube well at the local school, where queues often grow long. 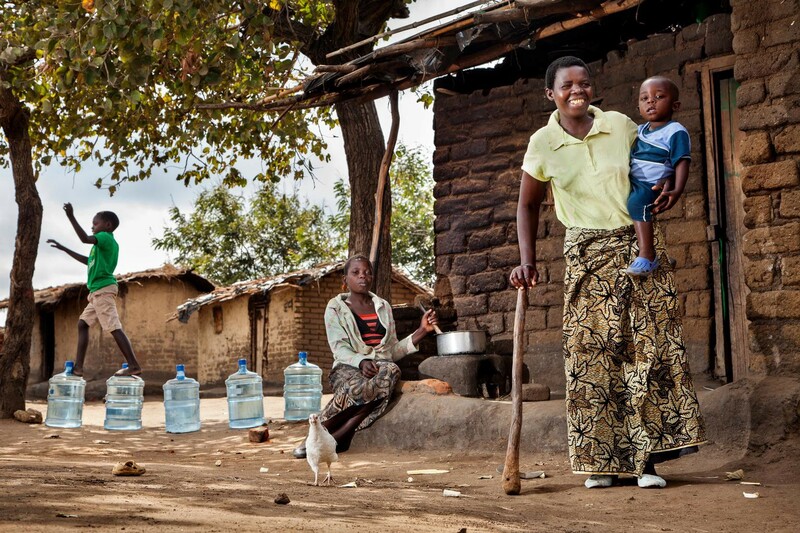 The Malenga family, in Malawi, uses 120 litres of water each day. “We used to draw water from a shallow well. It wasn’t clean like the borehole we draw from now. 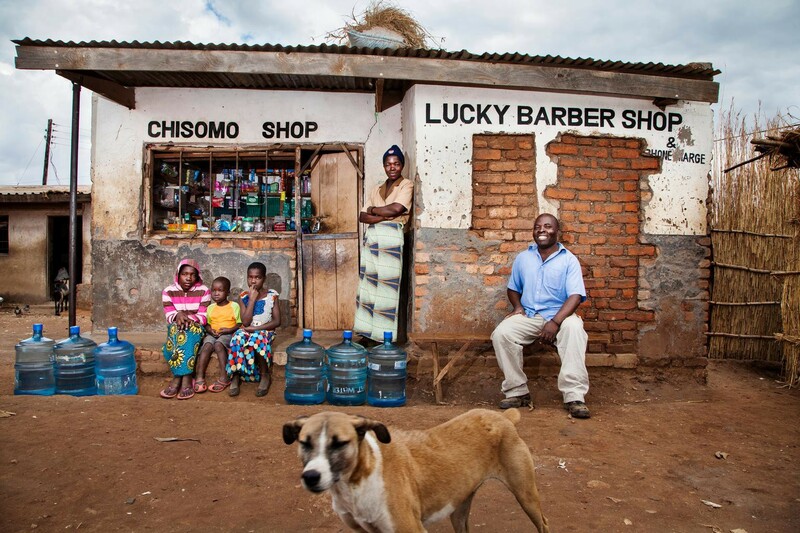 We got diarrhoea, and some members of the community got cholera,” said Mr. Malenga, who owns a small grocery shop. 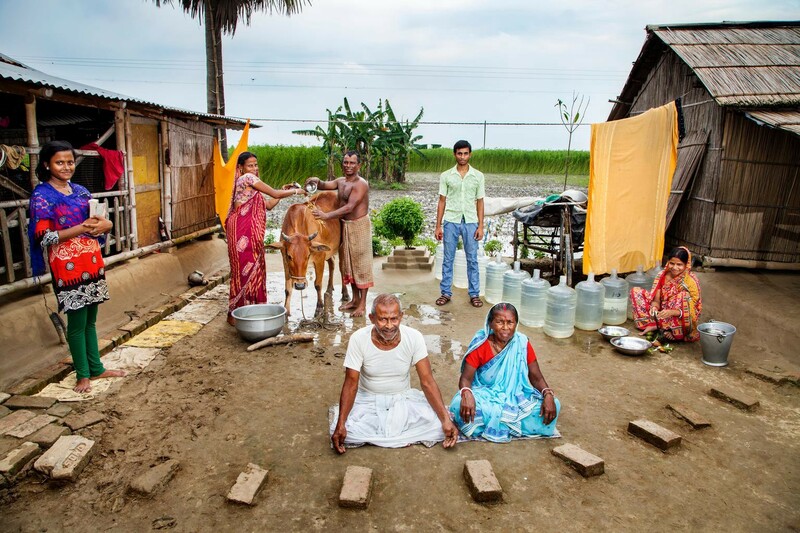 (Left) matriarch Atiphon Sarker, her four sons and their families share a compound in India. 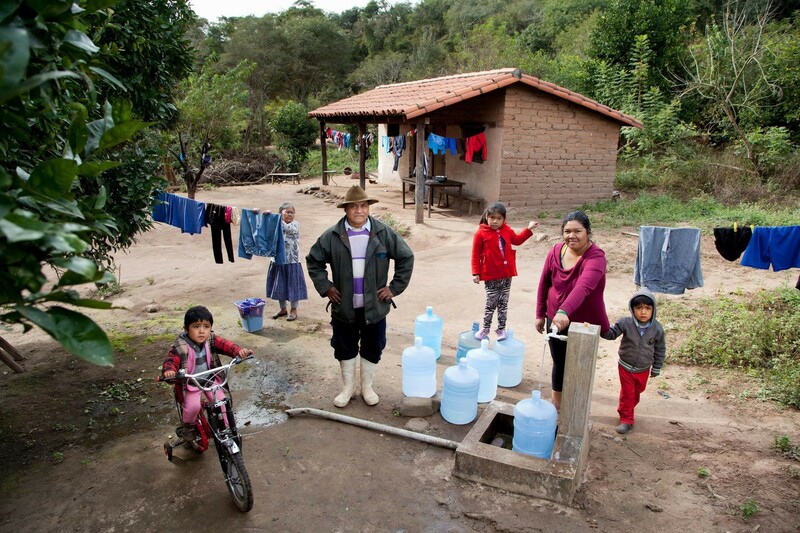 They use 220 litres of water daily, drawn from a shallow well, and a tube well 200 meters from their home. 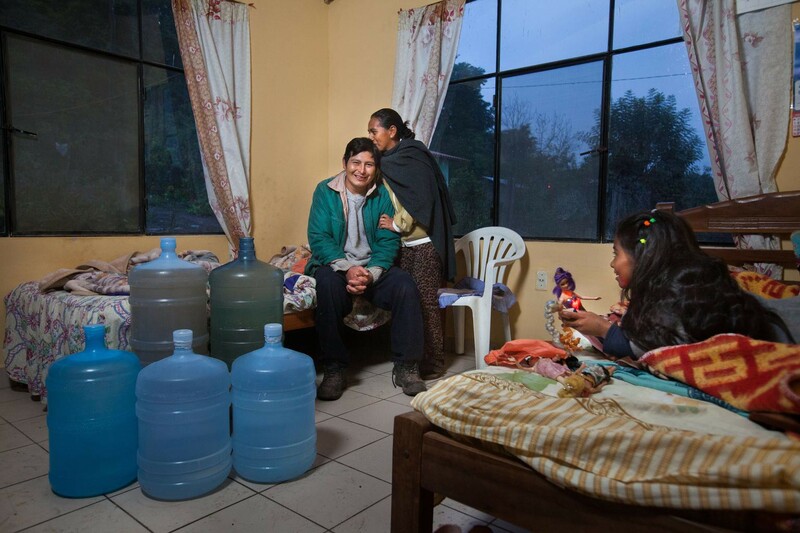 The tube well’s water tastes better, but it is shared by 100 families and breaks once or twice a month. 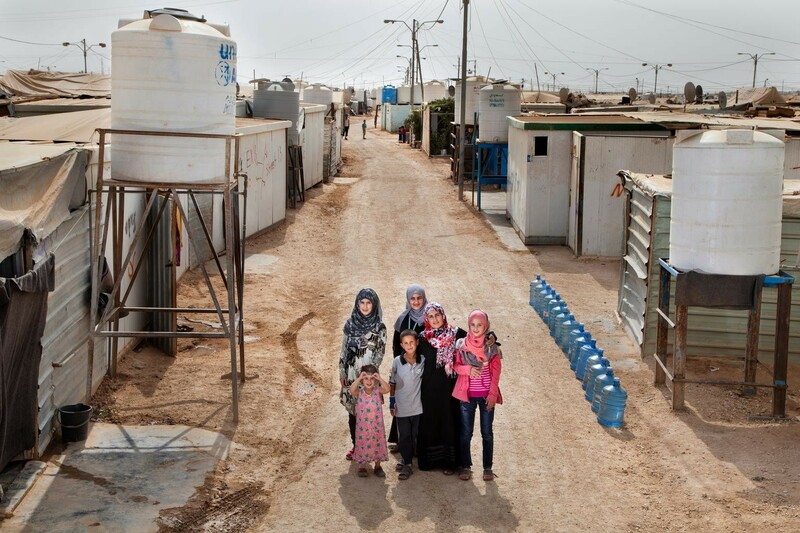 “[W]hen we didn’t clean so much due to not having enough water, we were getting scabies and lice,” said Amal Al Hoshan (second from right), in Za’atari. 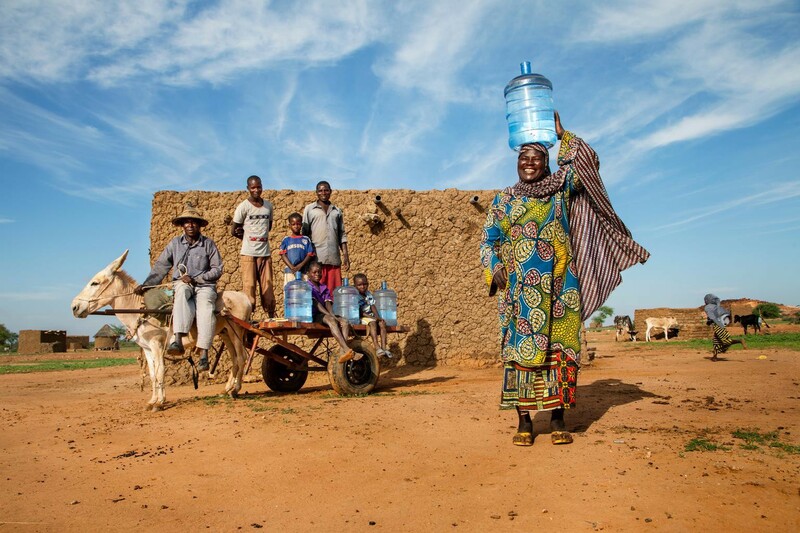 She and her children use 300 litres of water daily. “The area we live can’t be considered a village. A village would be much cleaner,” she added. Seamstress Nyo Oo, her husband, Kyaw Soe, a store owner, and their daughters use 100 litres of water daily, mostly drawn from a local borehole, in Myanmar. To save money, during the rainy season, they also obtain water for bathing from a local well or ponds, despite the risk of contamination. 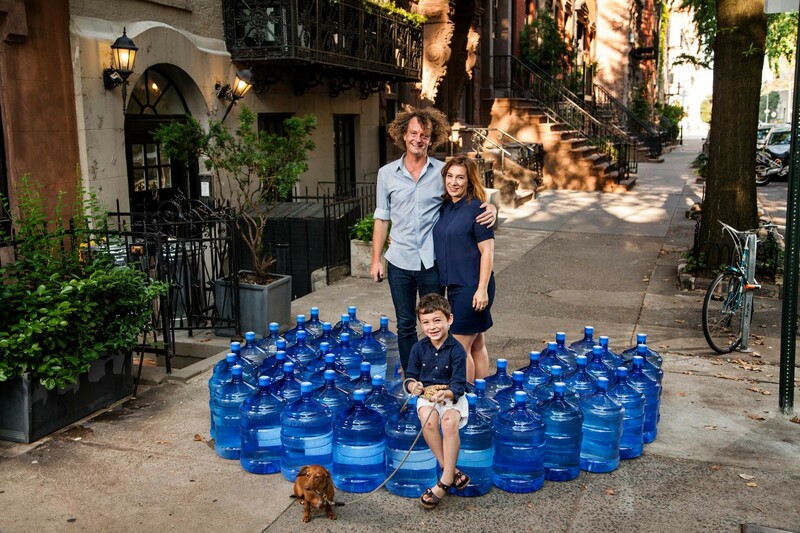 “I’m shocked by the amount of water my family uses in New York,” he said. Learn more about UNICEF’s work in water, sanitation and hygiene.